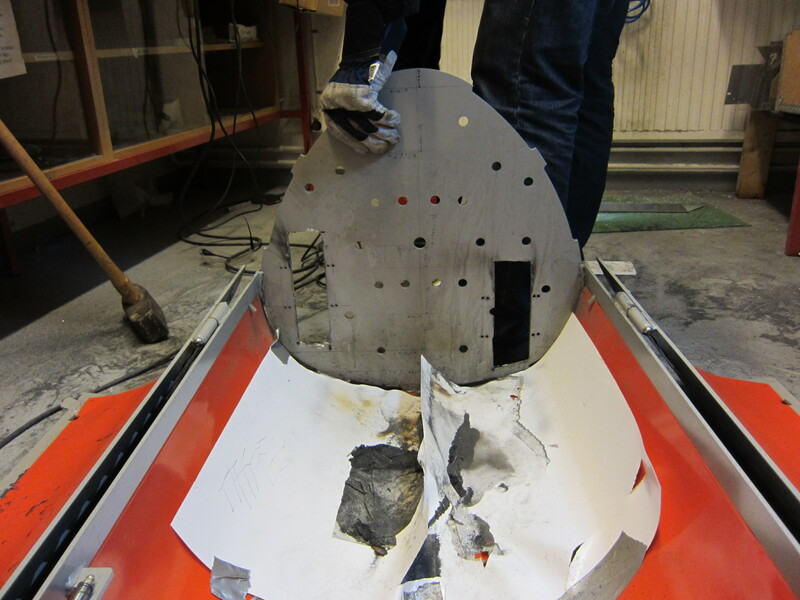 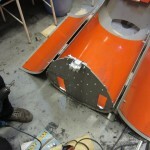 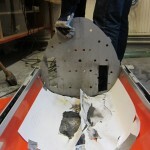 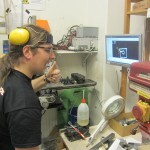 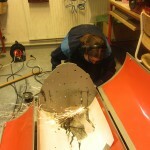 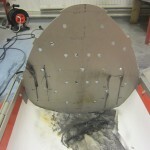 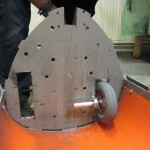 This is the making of go:toTrash were we are showing the steps involved in the construction. 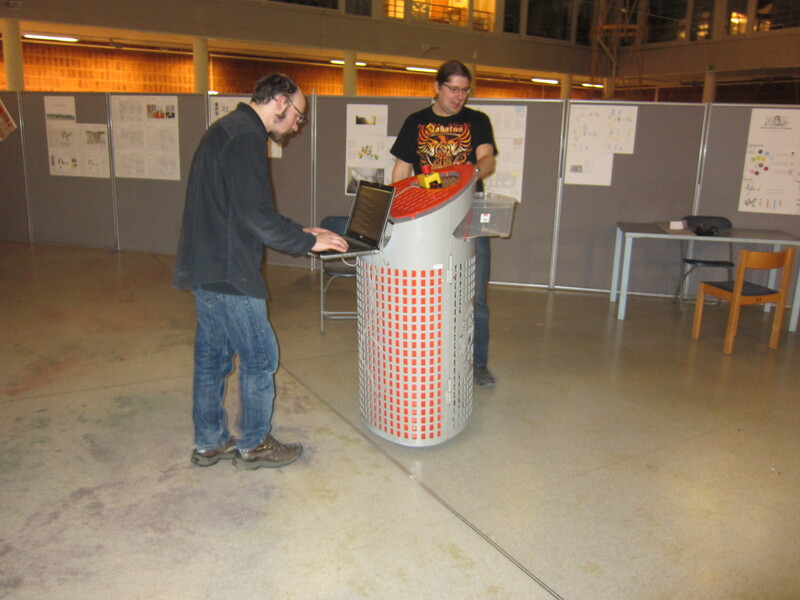 go:toTrash is watching you. 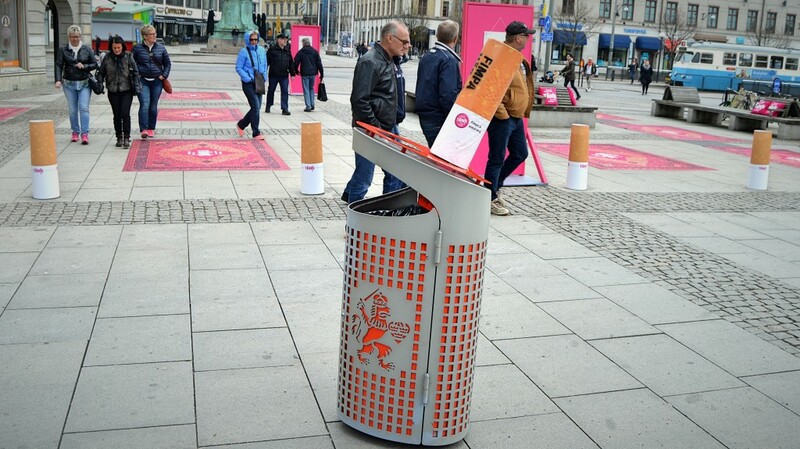 Throw your garbage in the bin. 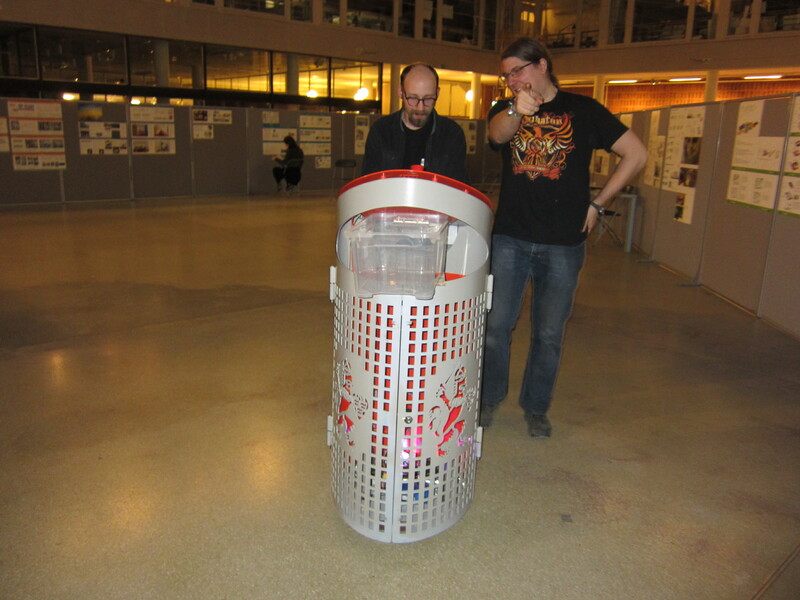 Upplevgbg have written about the event #‎fimpfriastaden‬ where go:toTrash were participating! 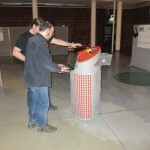 We placed a temporary emergency-stop on top of the trashcan to cut the power. 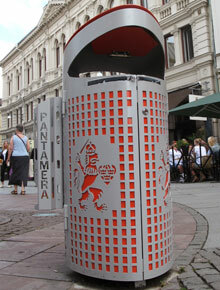 In the future we will use a piezo-element to detect and trigger emergency-stop when someone is hitting the trashcan. 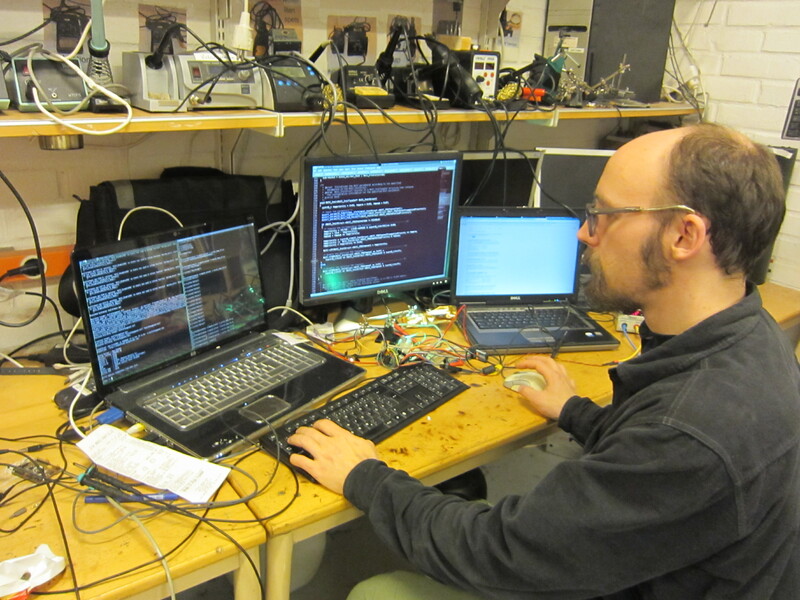 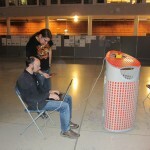 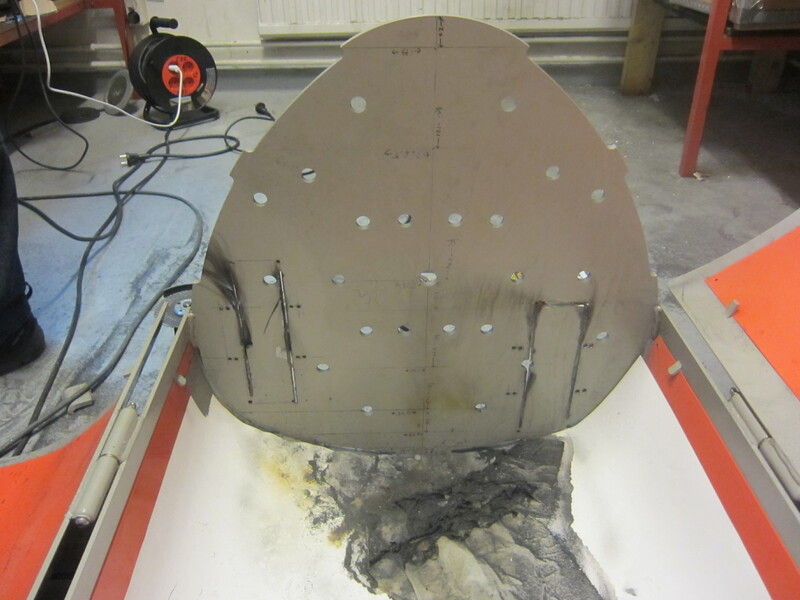 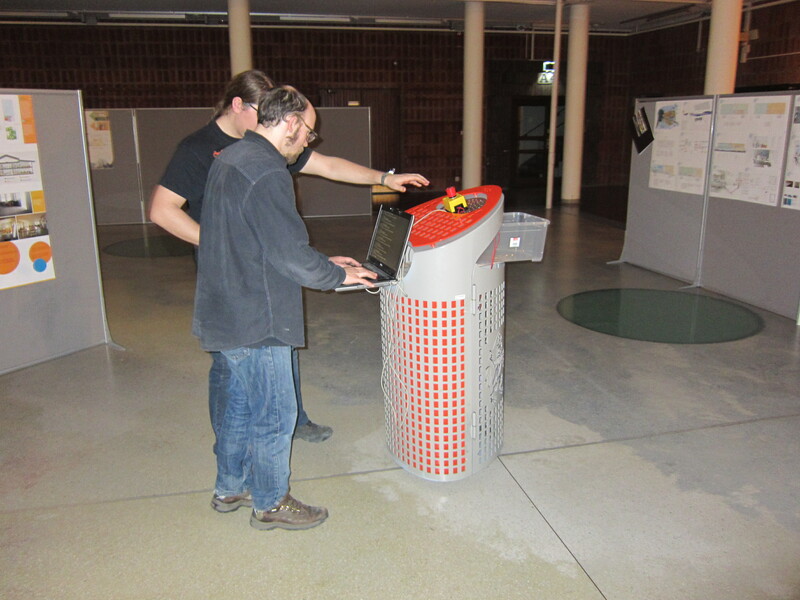 We did test go:toTrash inside at first to get ea feel about how the platform worked. 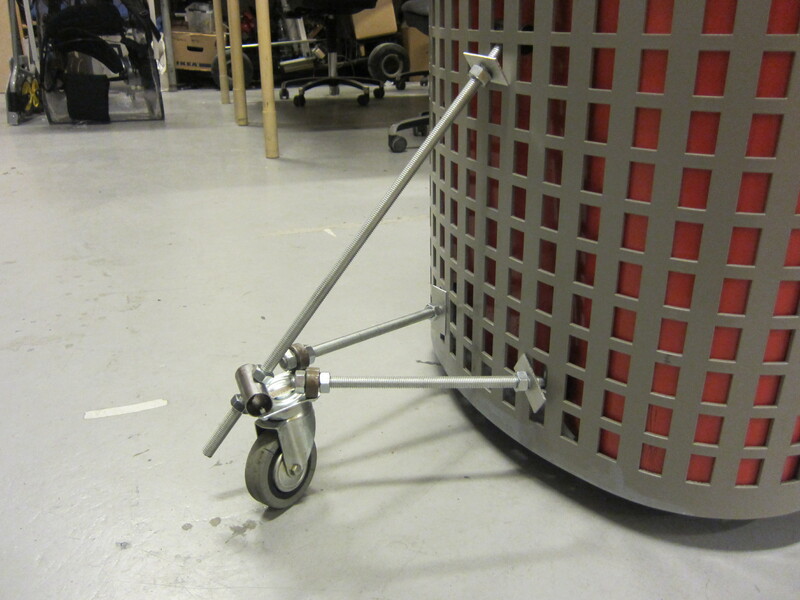 It worked great, so we tried to force it and learn its limits. 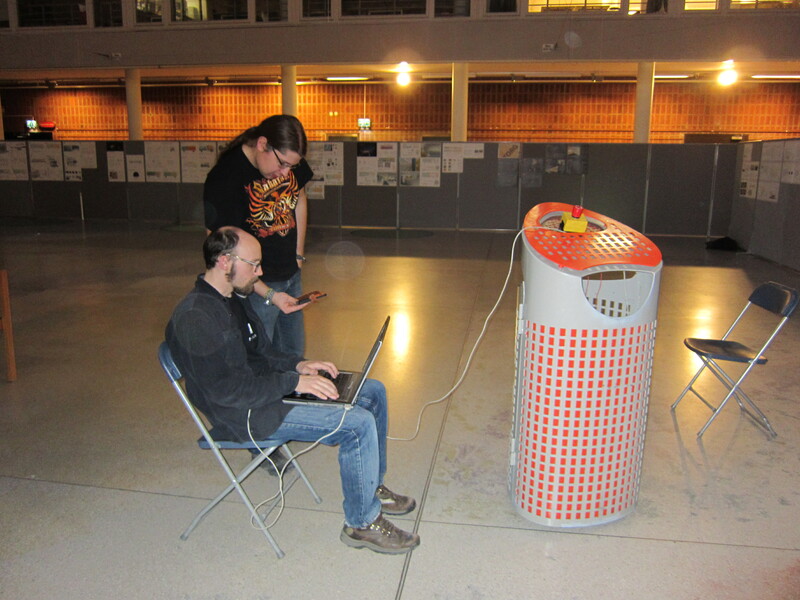 We also did some testing outside. 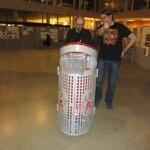 go:toTrash also met a collegue on it’s way, a compression-trashcan. 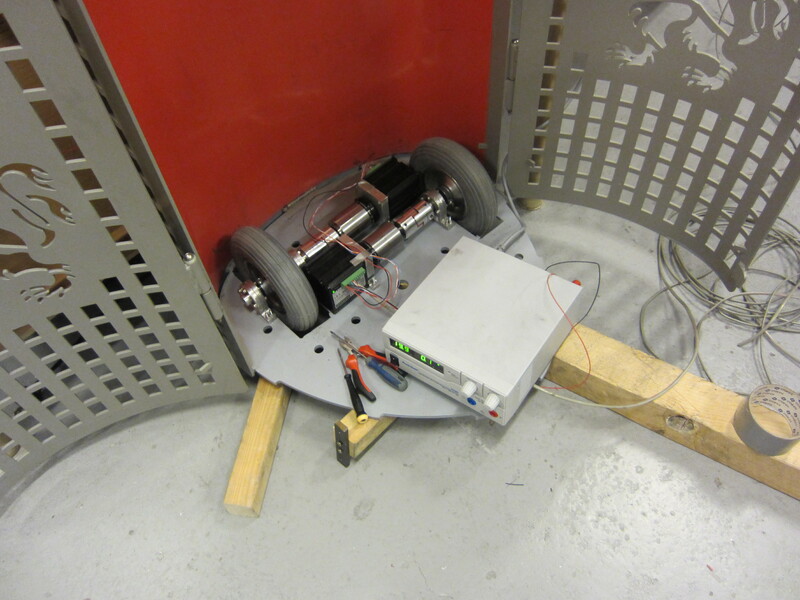 We also did some testing on the paving stone, we discovered that go:toTrash were more stable on the pavement than we first thought. 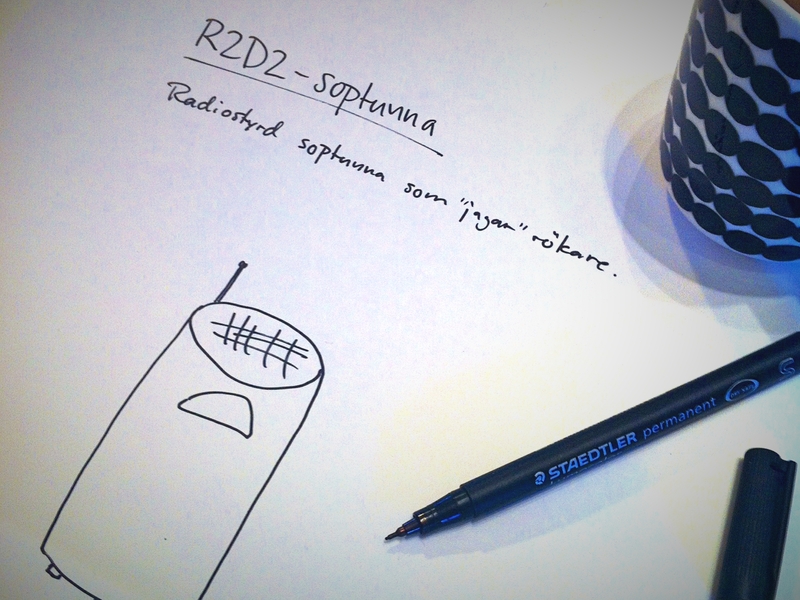 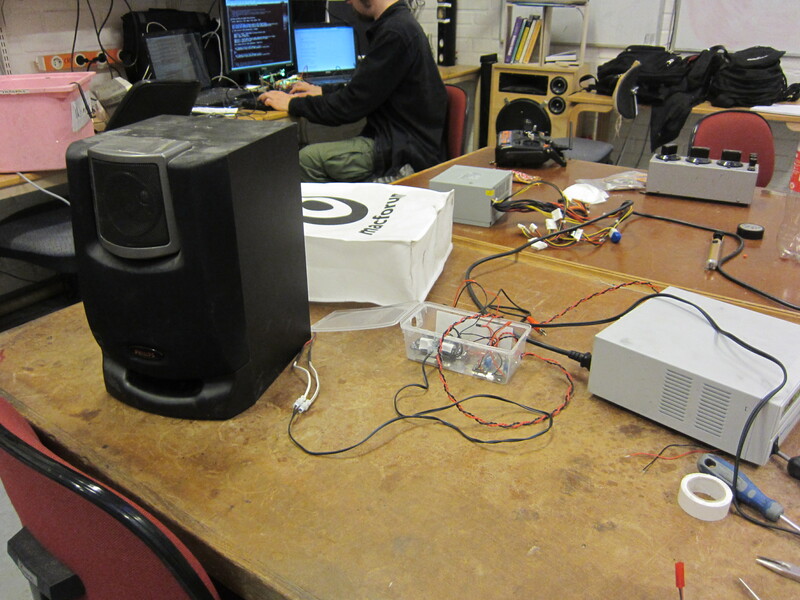 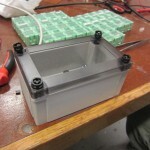 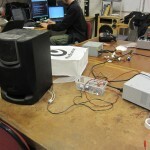 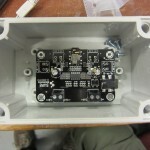 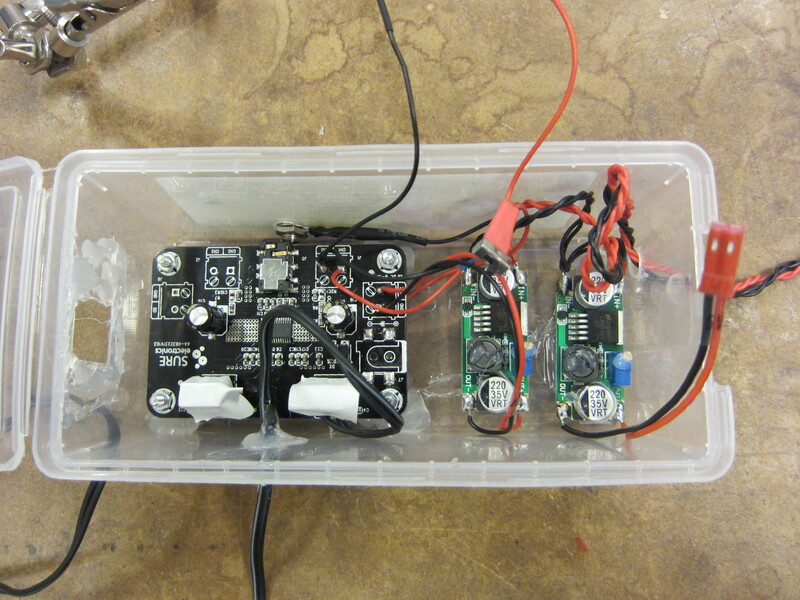 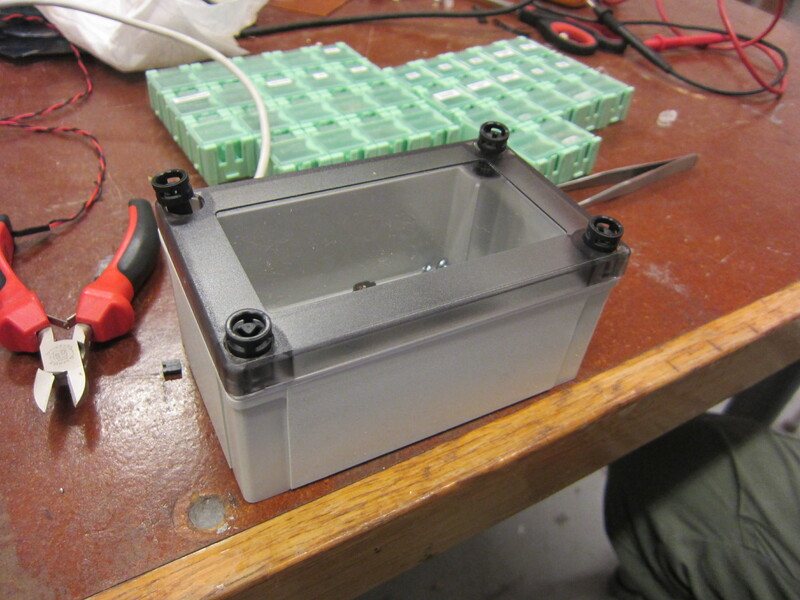 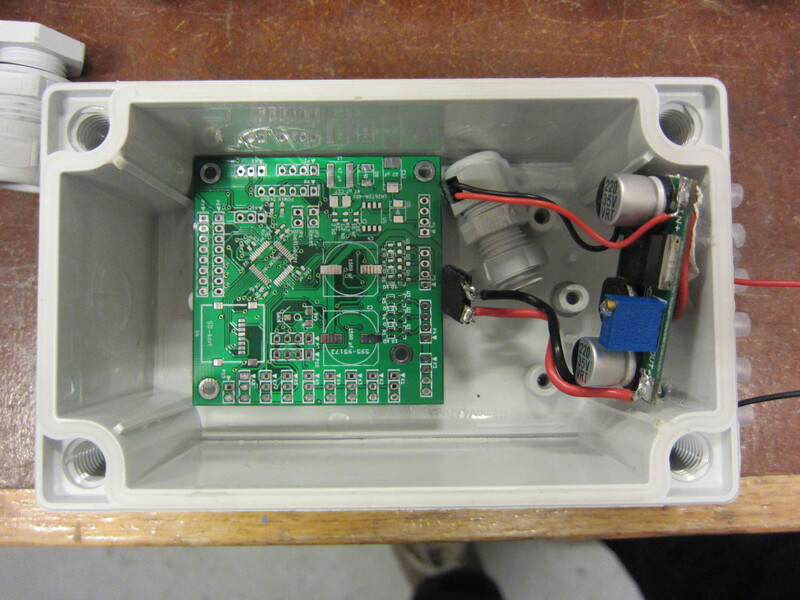 Amplifier, casing and the speaker for the trashcan. 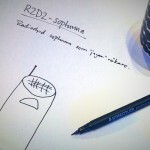 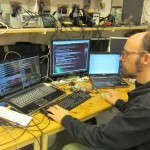 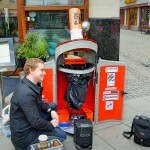 go:toTrash will have a voice controlled by a person speaking into a smartphone somewhere. 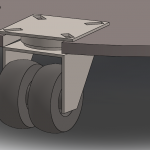 A fourth wheel on the back is our last alternative if we can’t make the trashcan steady. 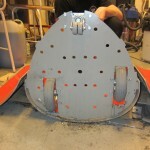 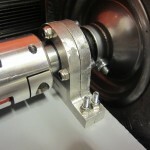 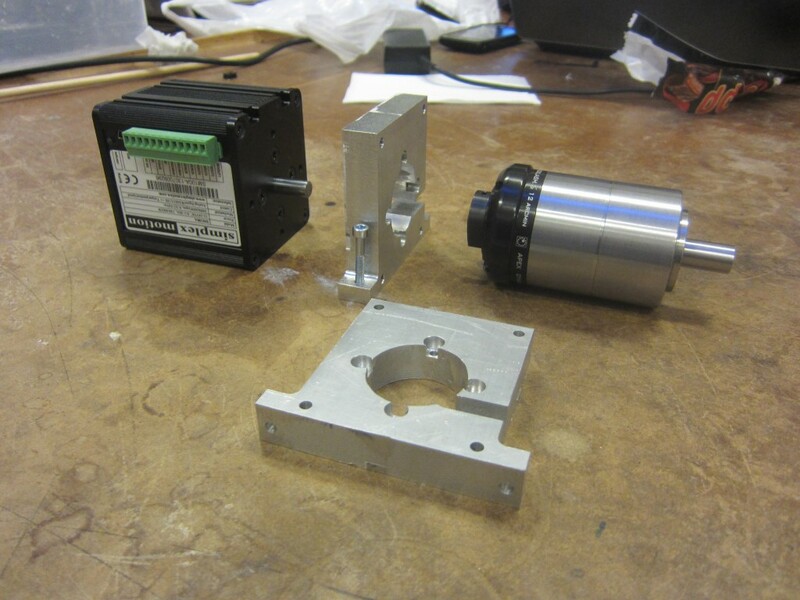 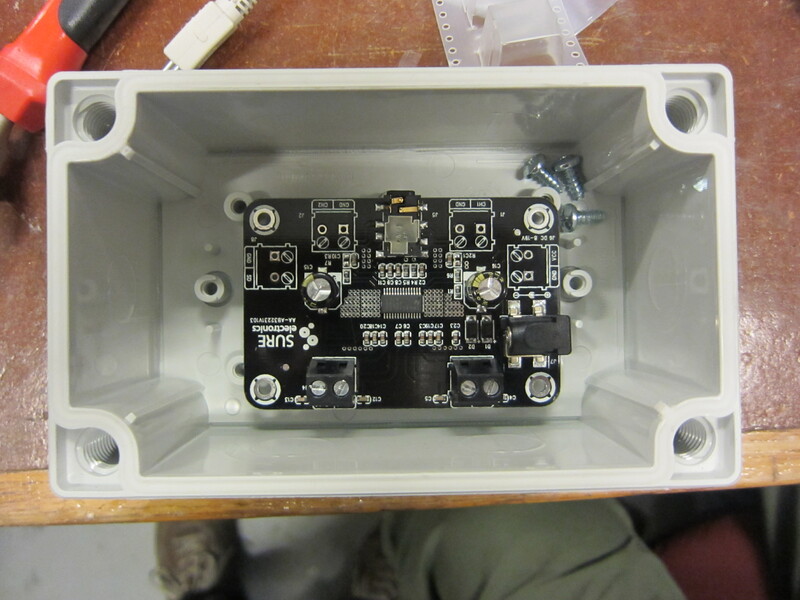 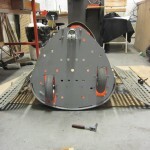 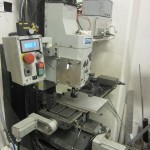 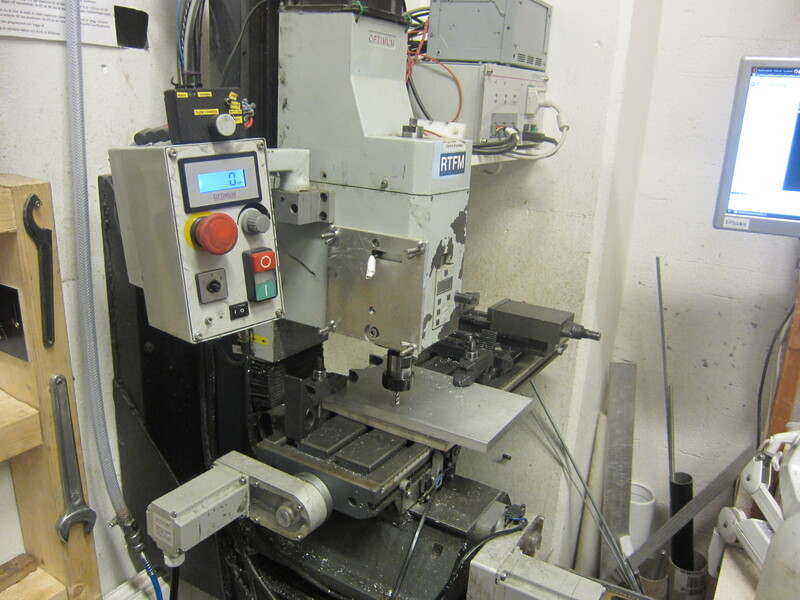 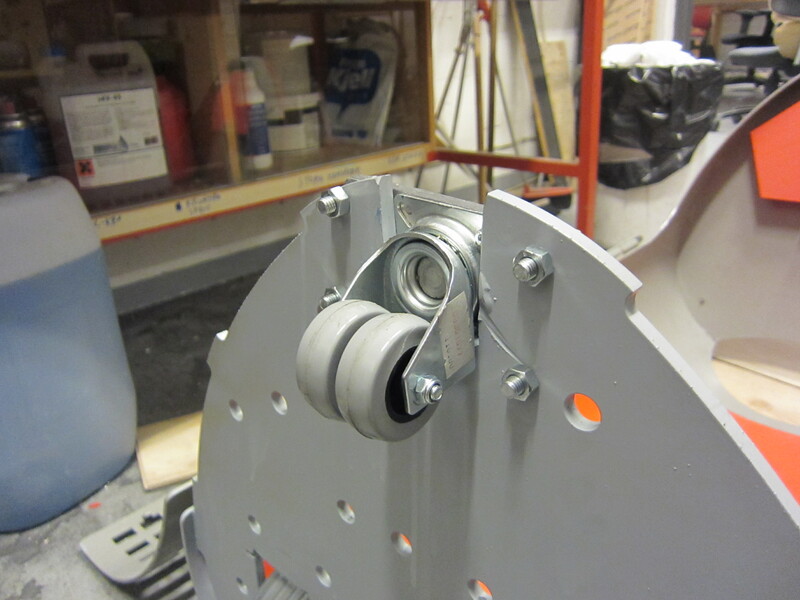 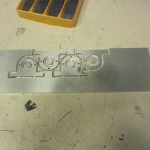 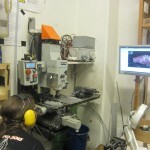 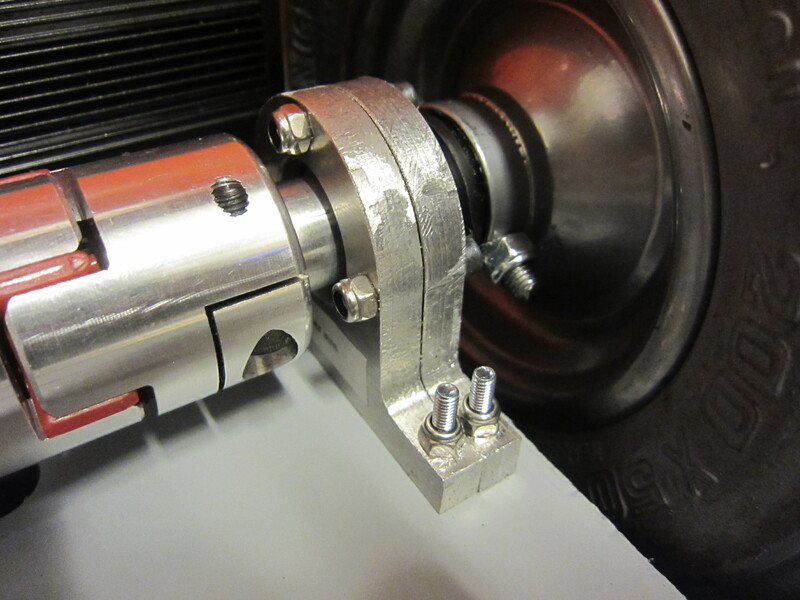 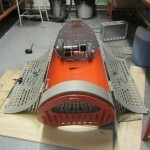 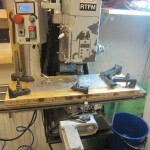 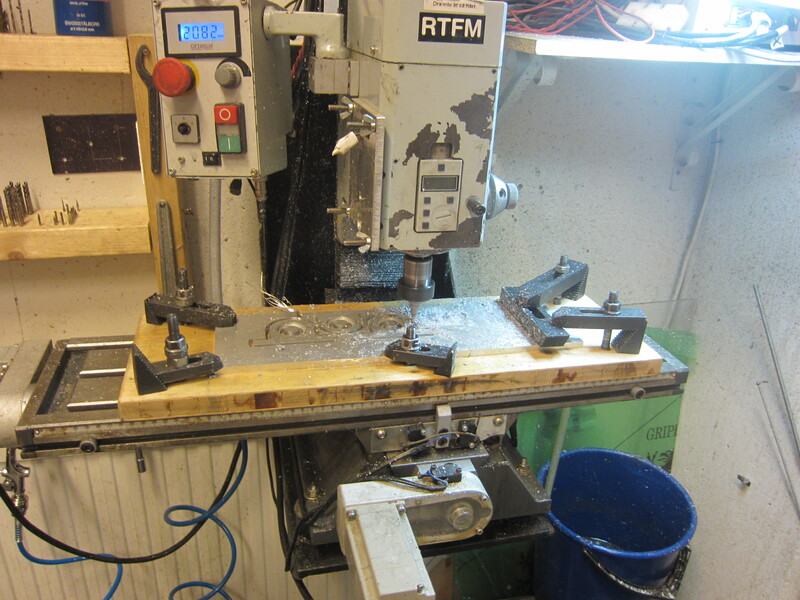 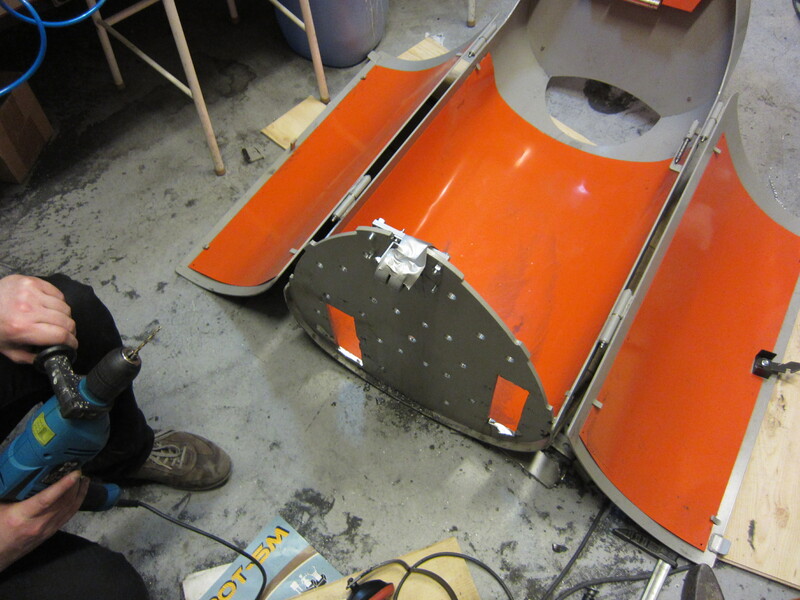 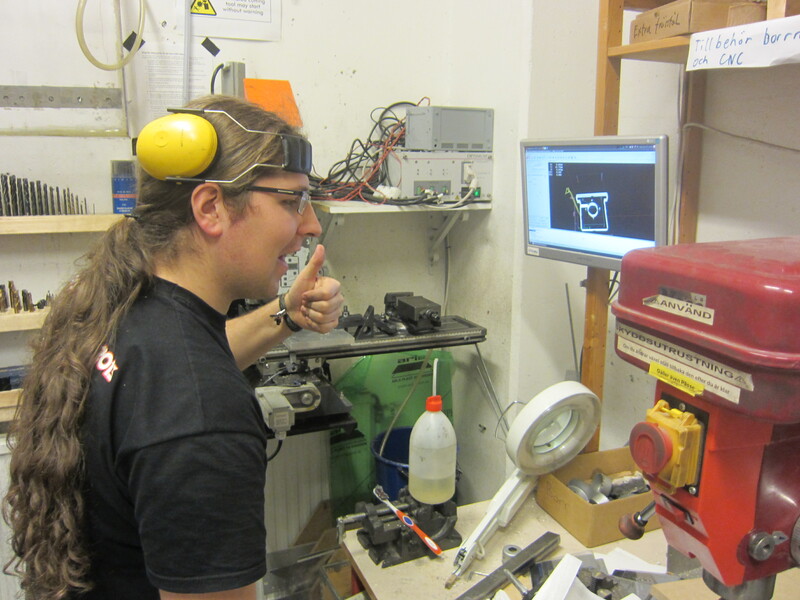 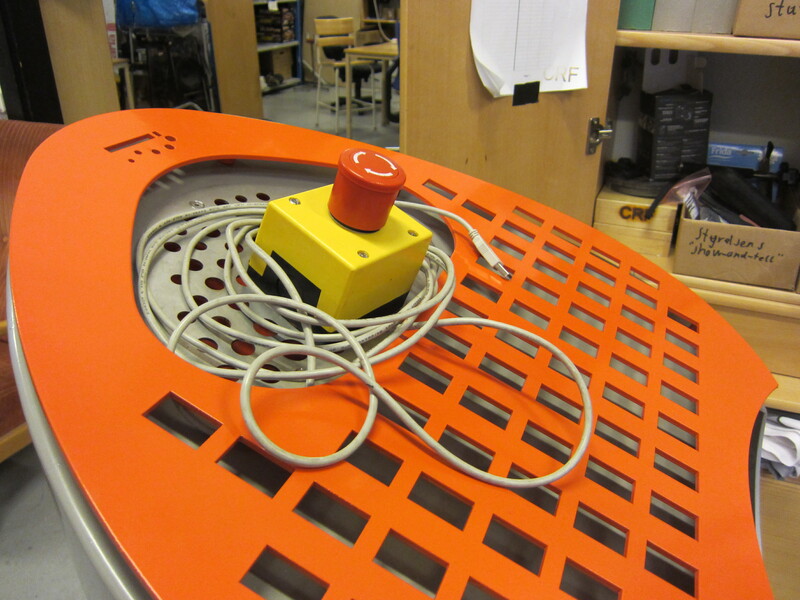 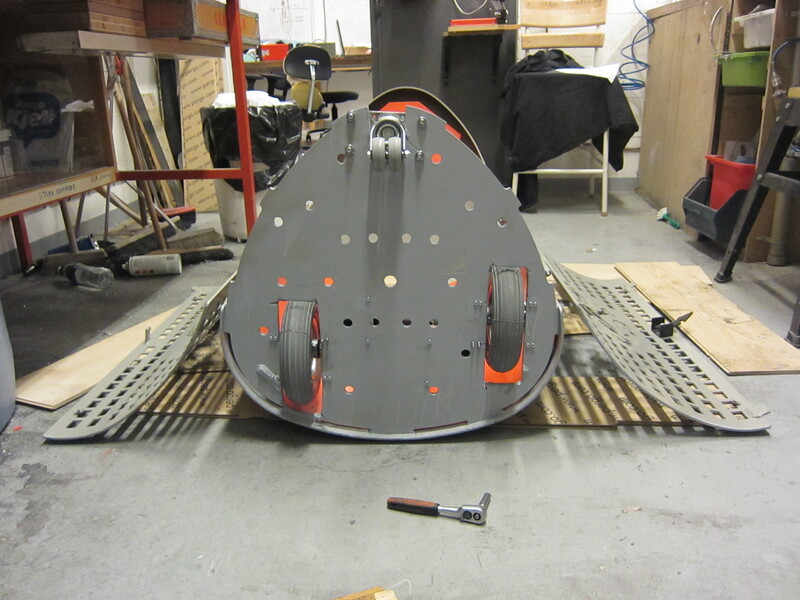 We have CNC’ed the mountingplates between the gearbox and the motor. 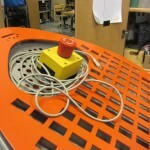 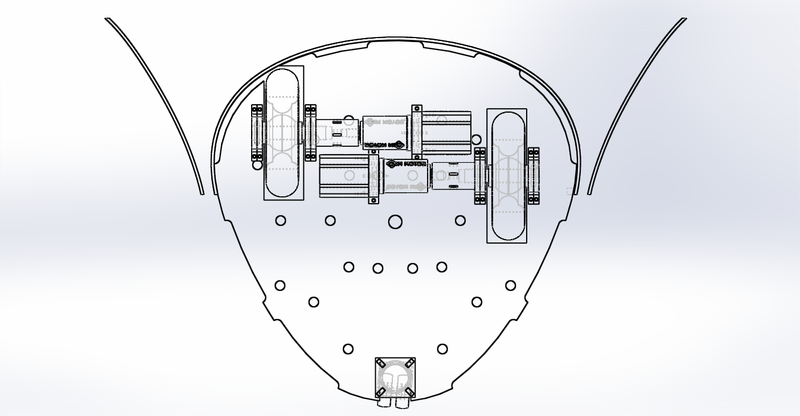 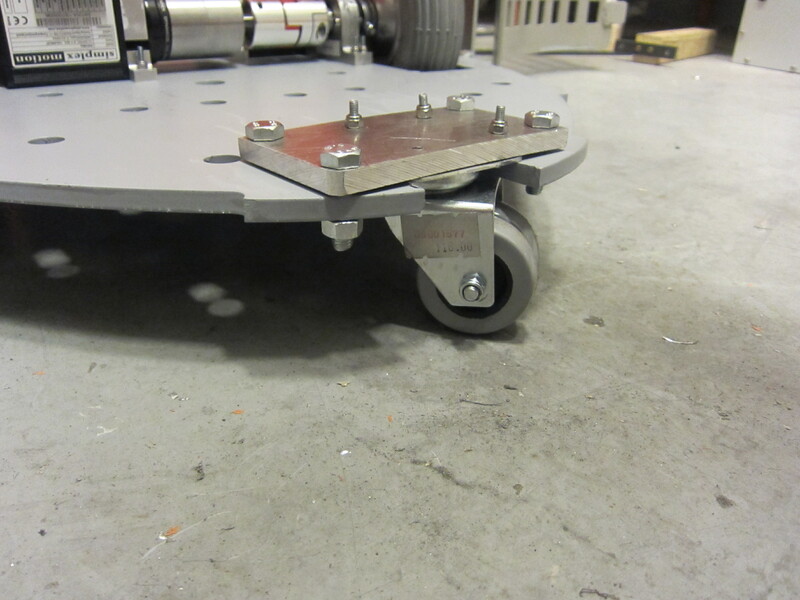 The mountingplate also acts like a fixture in the bottom plate. 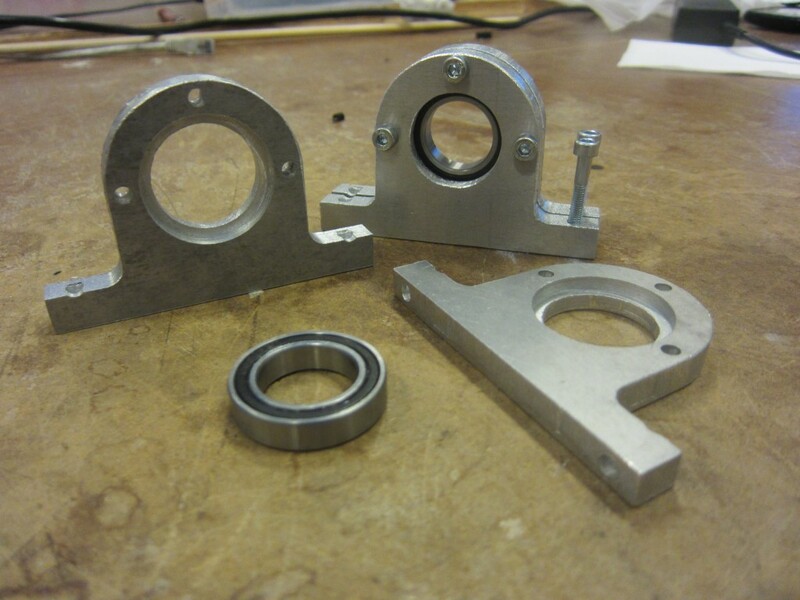 We’ve also med 4, out of the 8, bearing-holders. 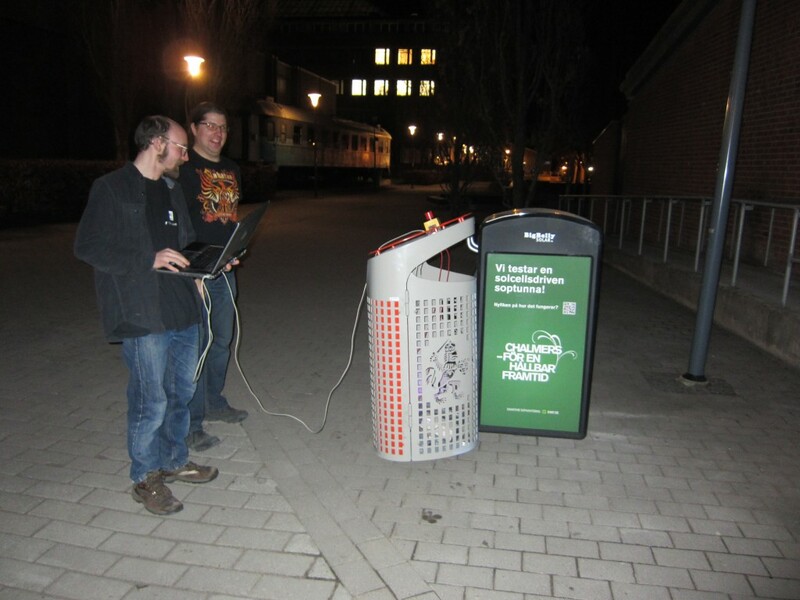 Here’s a new project me and my friends are working on, go:toTrash. 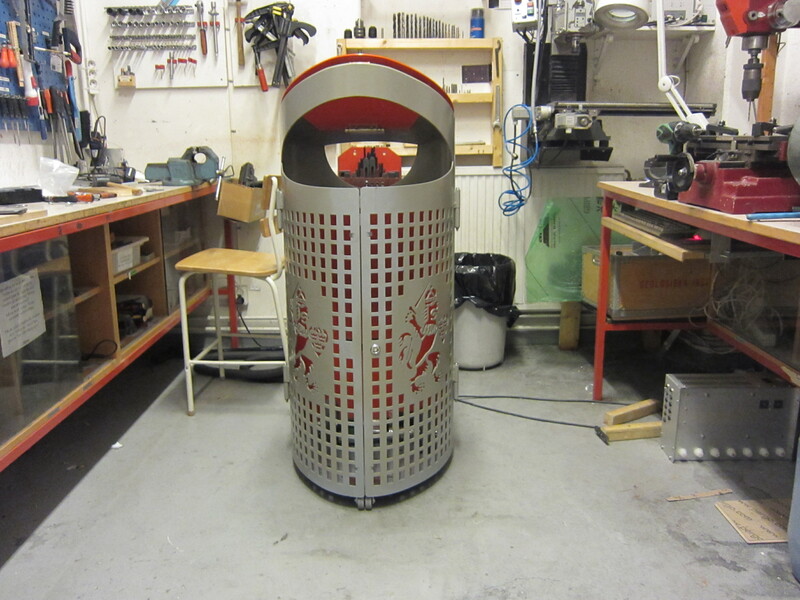 It’s a radio-controlled trashcan that is supposed to help people throw their trash properly. 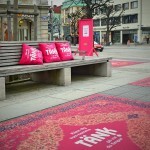 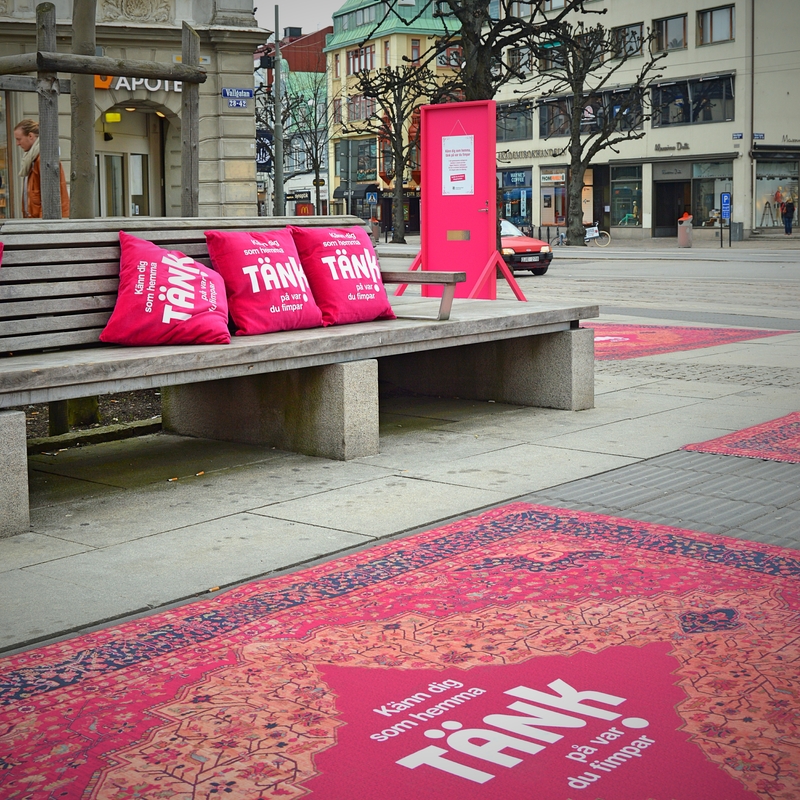 Our city, Göteborg Stad, are doing a marketing campaign to prevent littering on the streets. 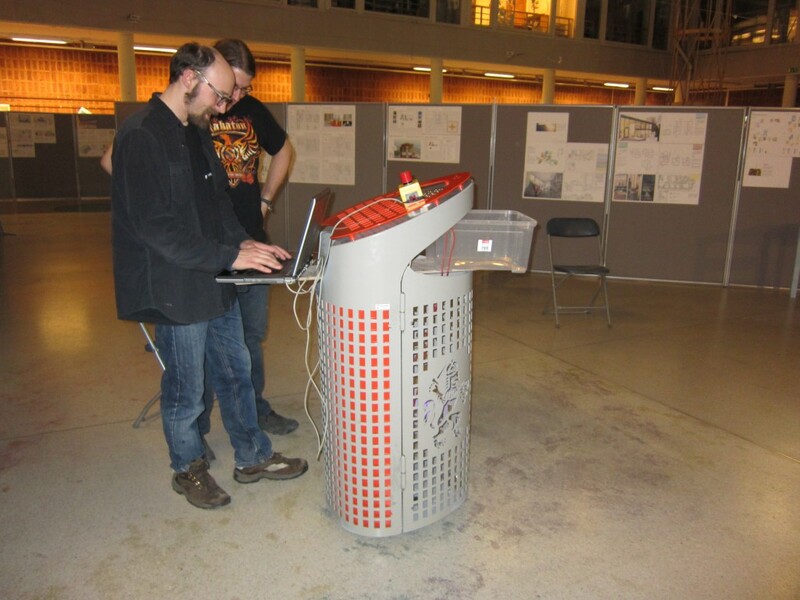 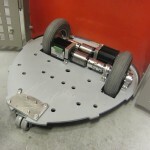 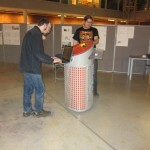 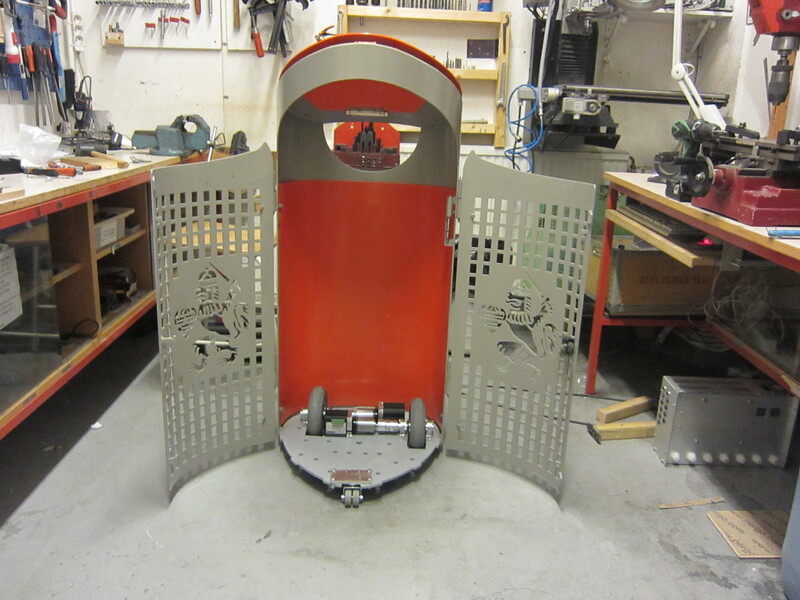 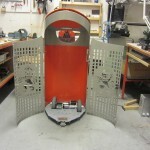 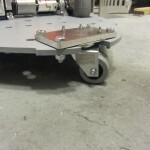 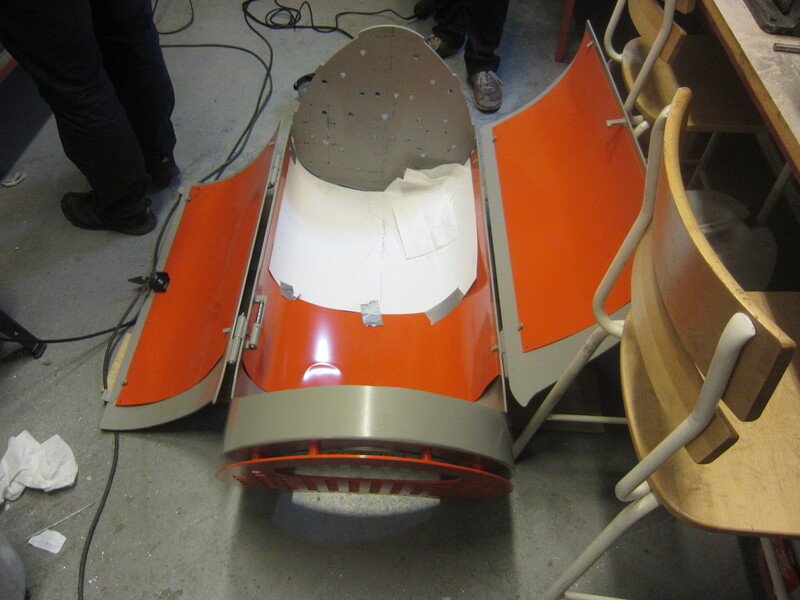 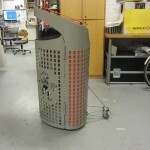 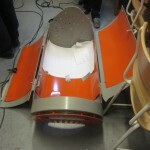 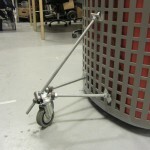 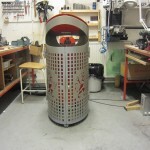 In collaboration with the advertising company Frank & Earnest they gave Chalmers Robotics the challenge to make Göteborgs iconic trashcan movable. 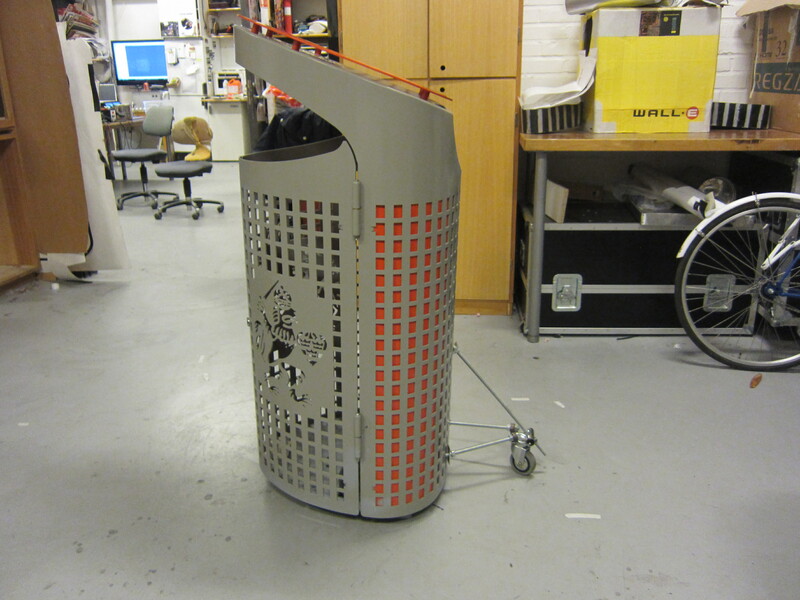 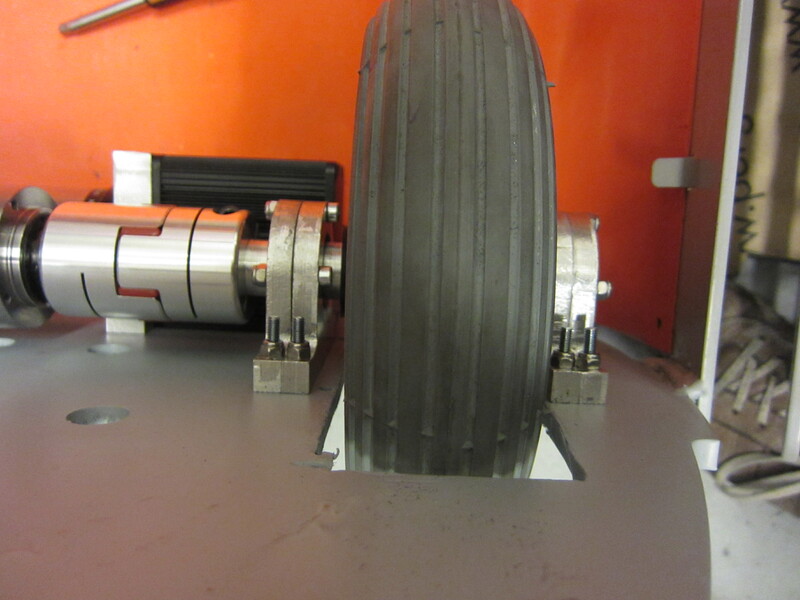 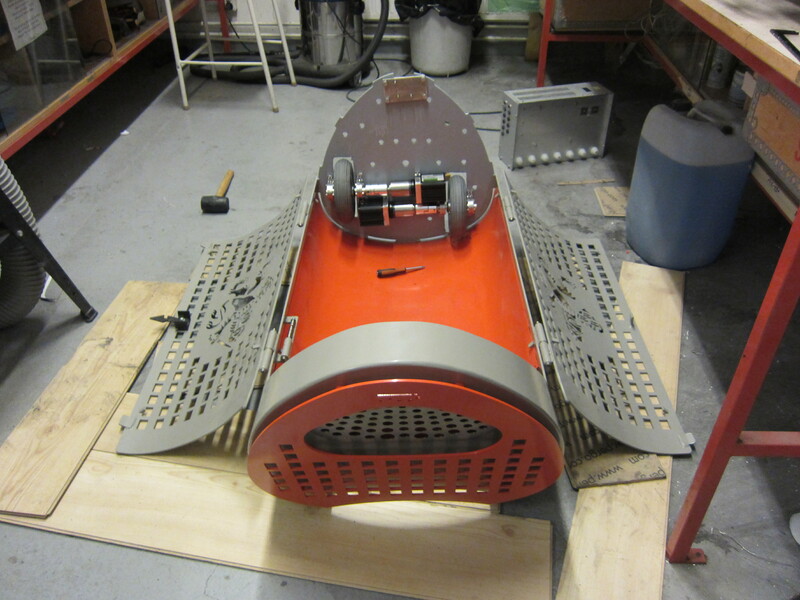 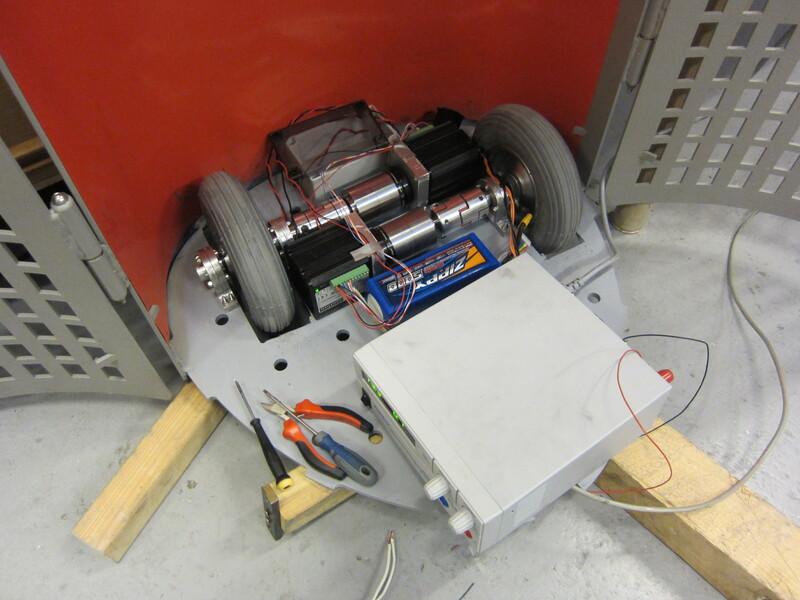 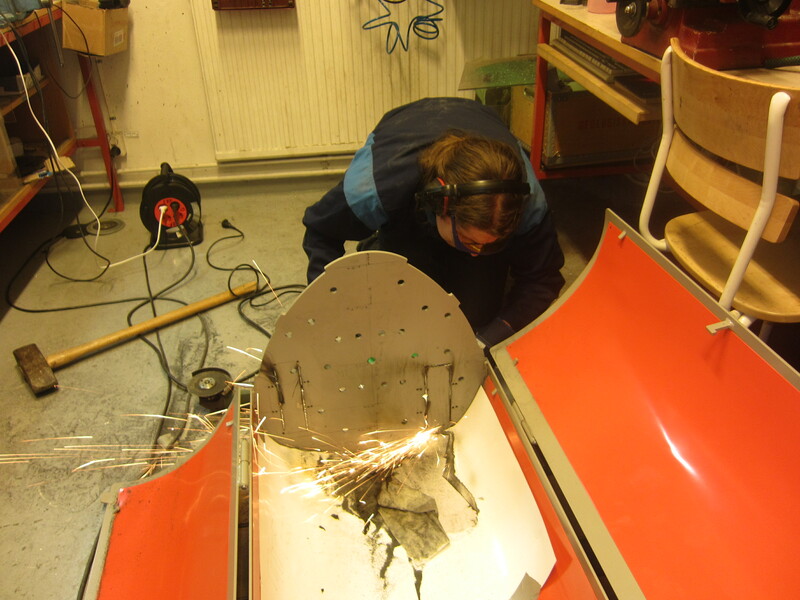 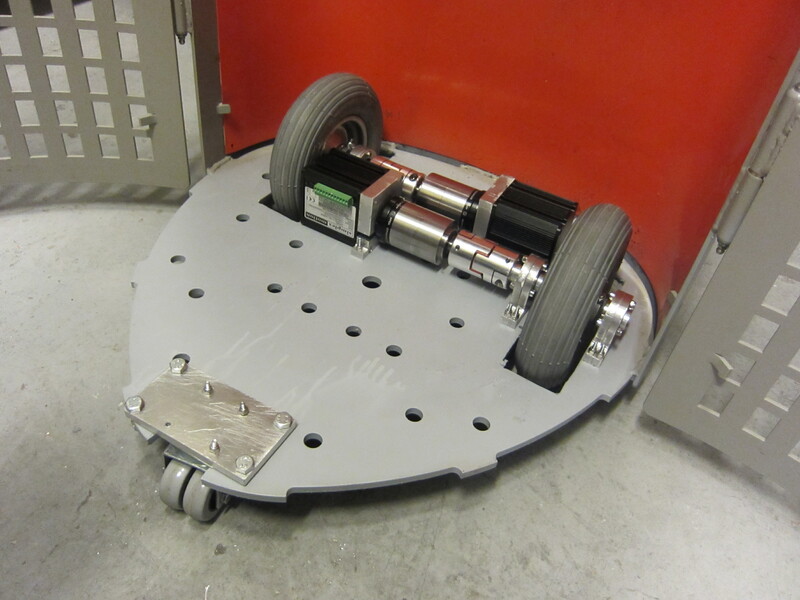 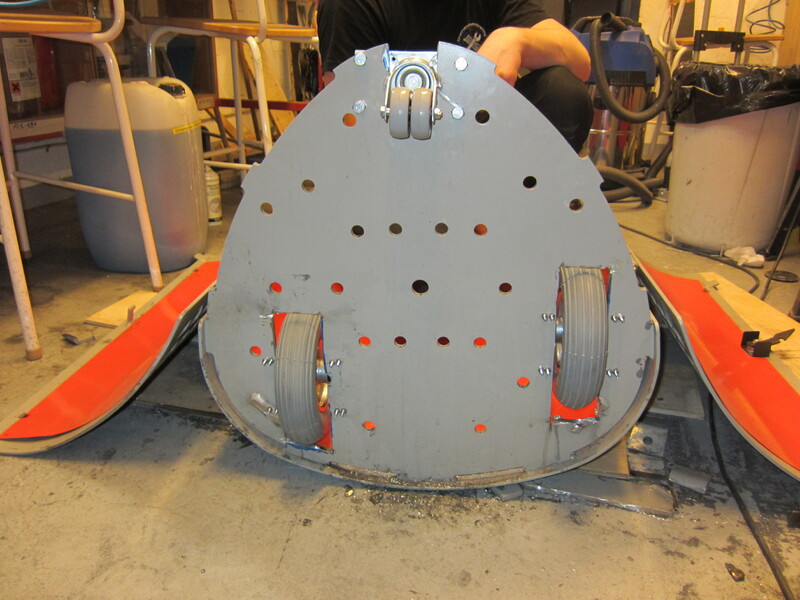 The trashcan weights around 90 kg, so we have to put some strong motors in to make it move. 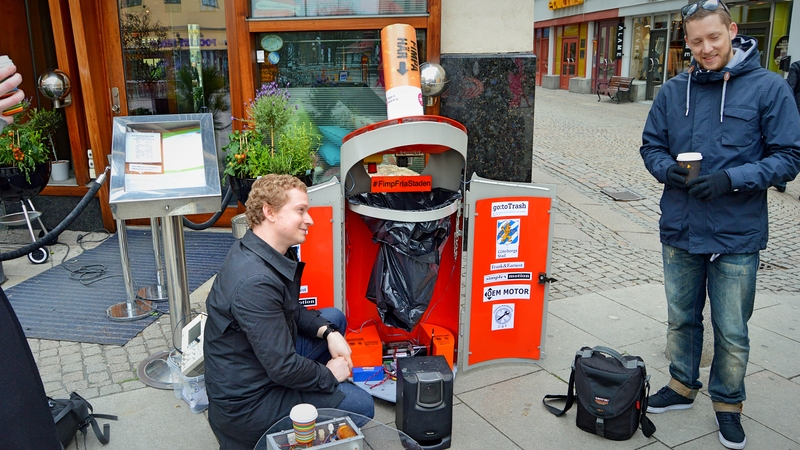 The plan is to help people throw their trash more easily by driving the trashcan to them. 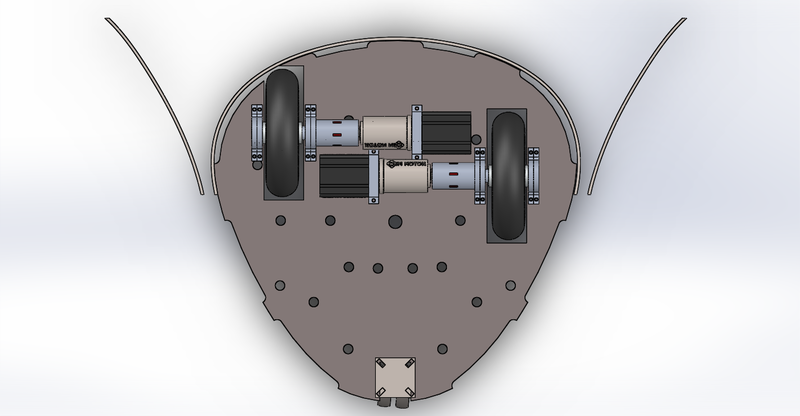 So the driving velocity is going to be quite low, at the most 5km/h. 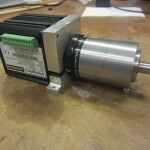 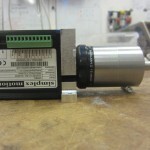 One evening at the hackerspace Simplex Motion came by to visit us and introduce their cool servo-motor 100A. 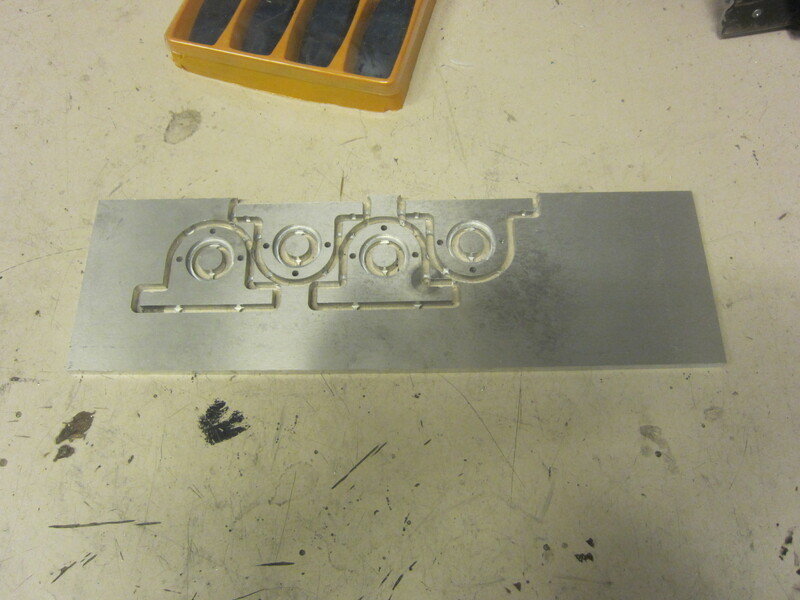 They asked us to use it and evaluate it. 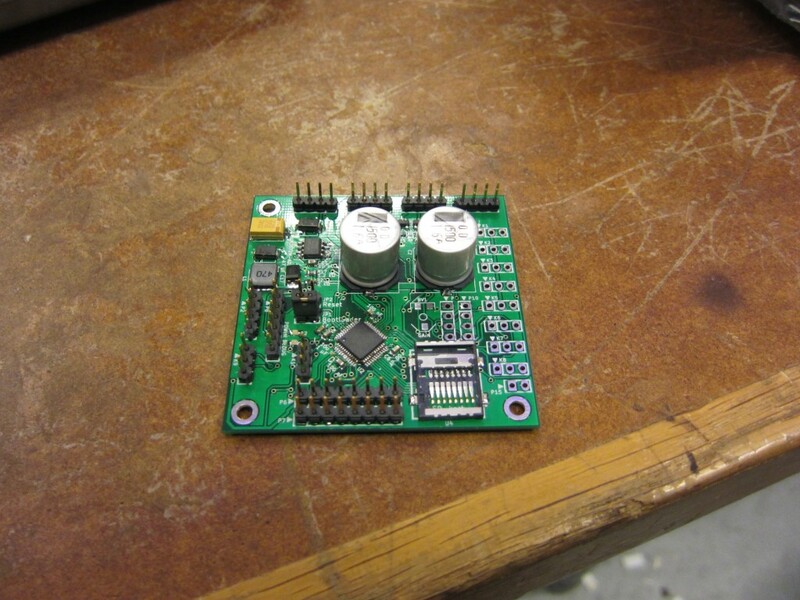 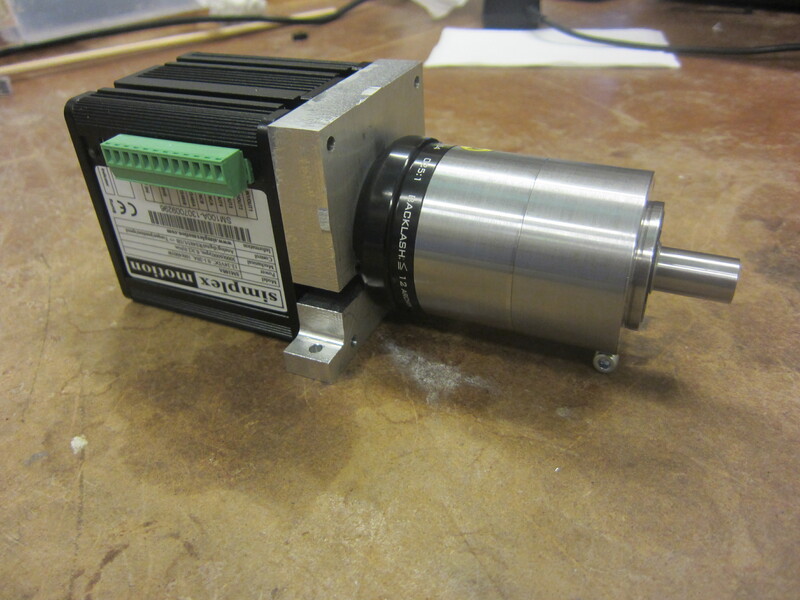 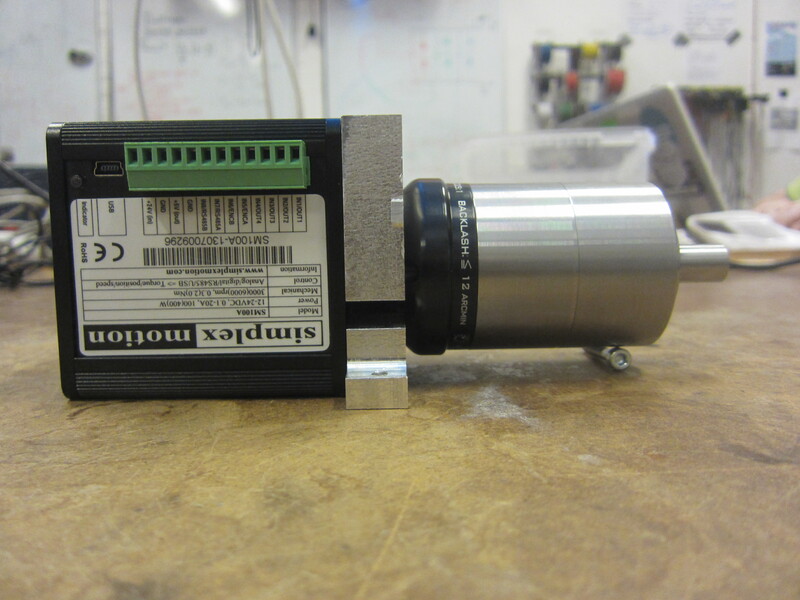 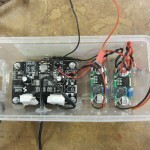 Simple Motion 100A is a servo with a BLDC and a outrunnermotor inside of it, it runs on 12-24VDC and can deliver 100W (400 peak). 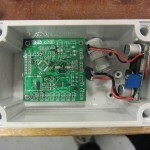 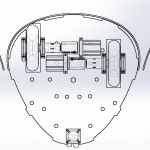 We soon implemented it into our project. 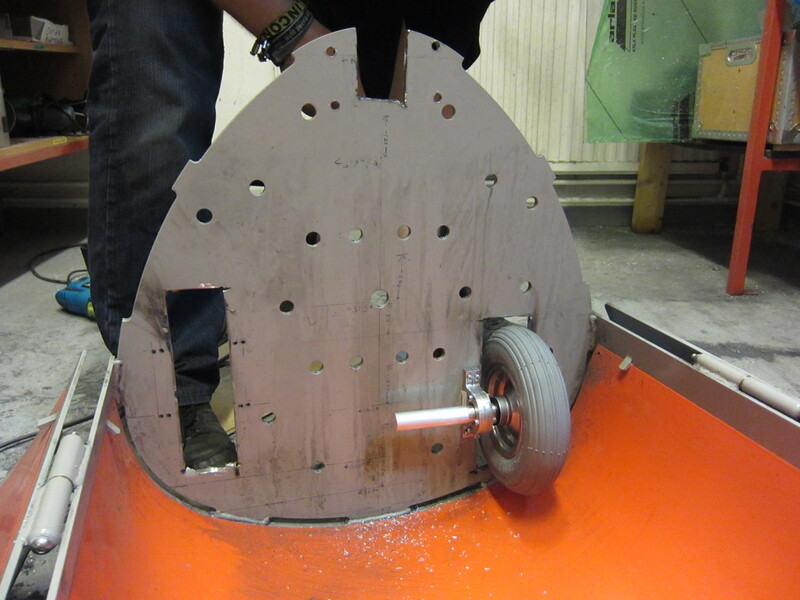 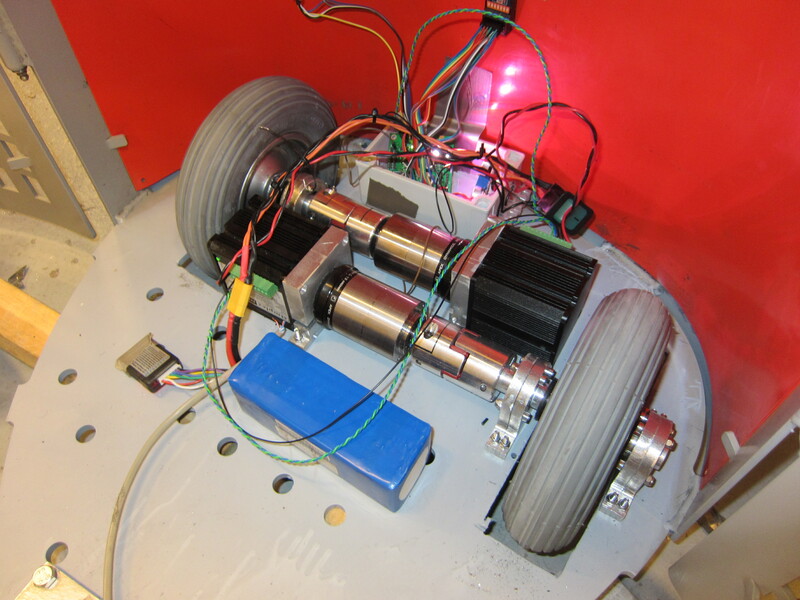 Our teammember Erik Sternå did some calculations on the forces needed to drive the trashcan and came to the conclusion that we needed a gearbox with 1:25 ratio. 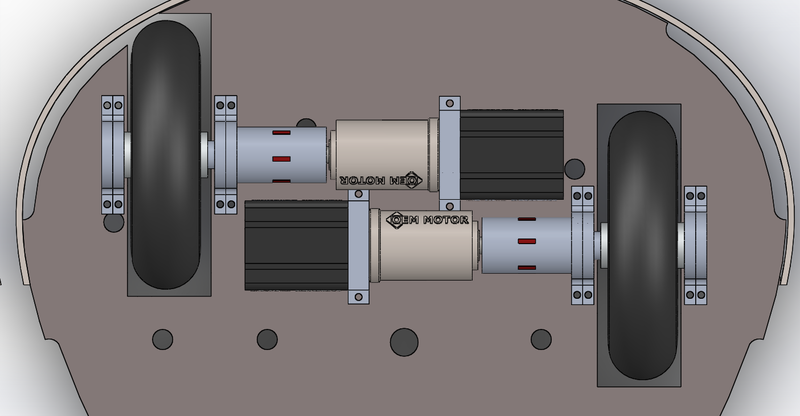 We come i touch with OEM Motor that sponsored the project with gearboxes. 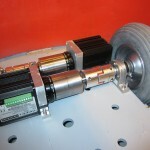 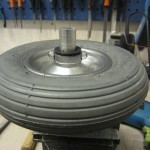 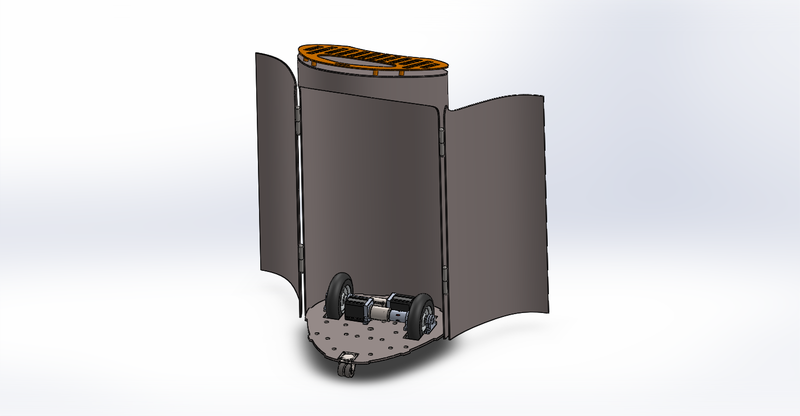 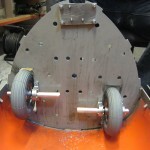 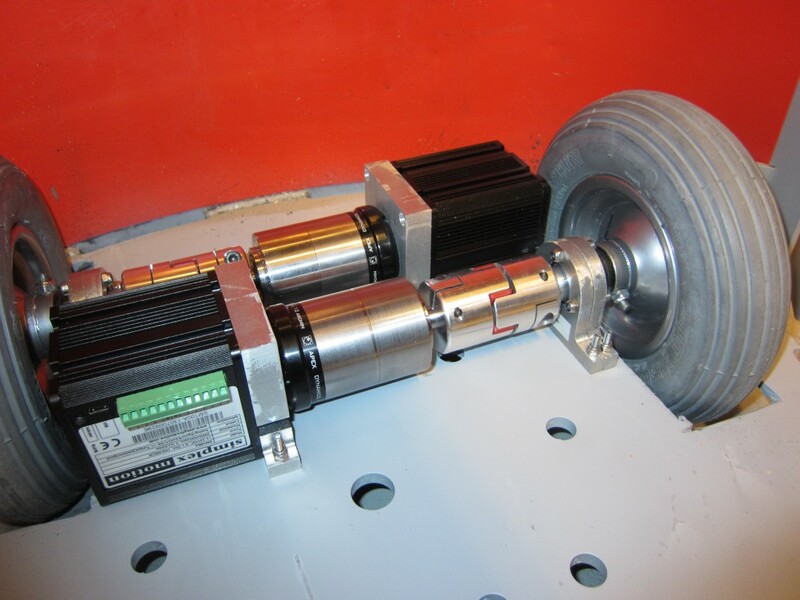 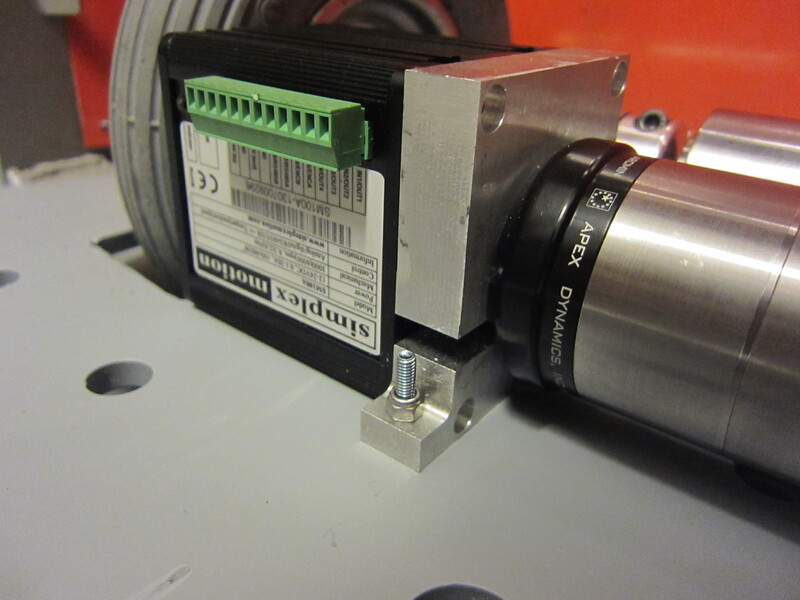 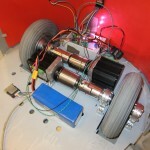 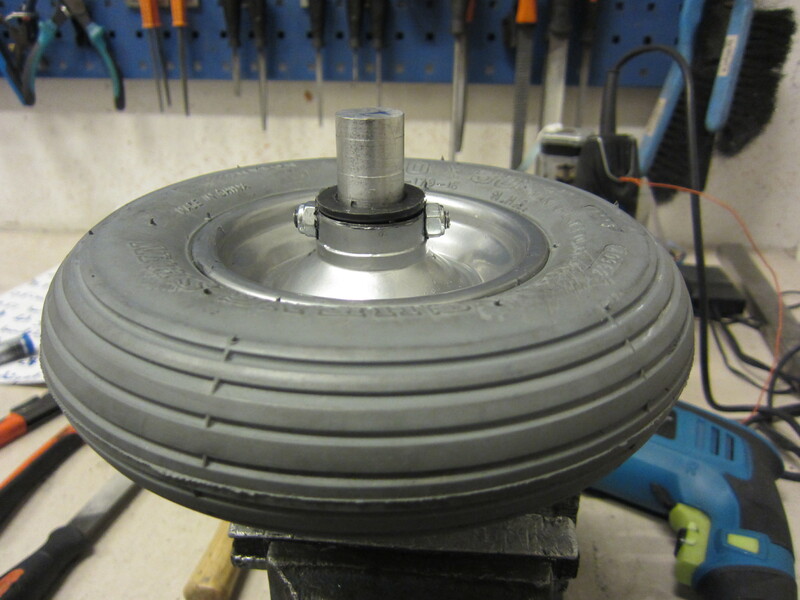 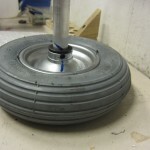 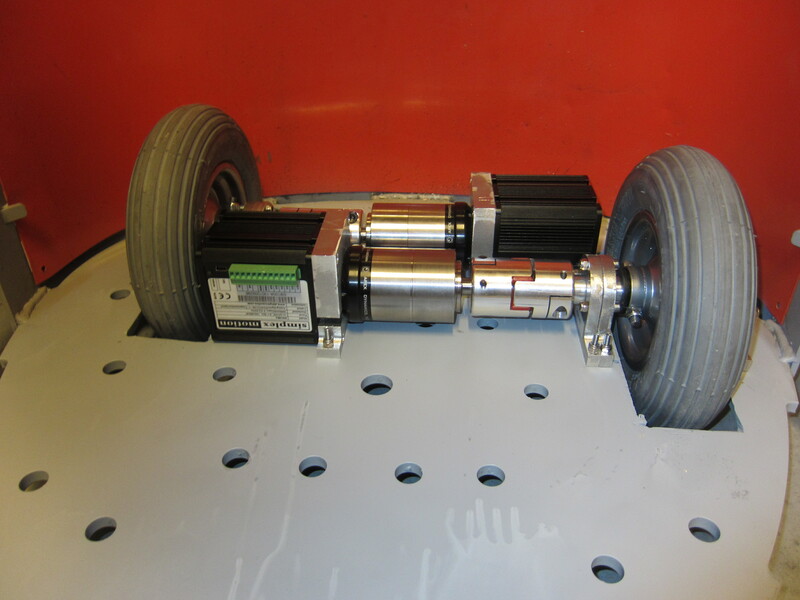 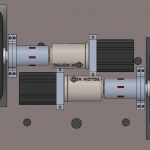 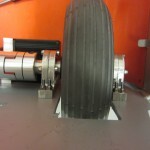 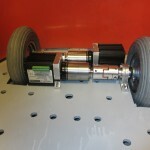 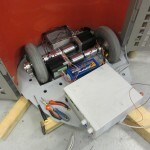 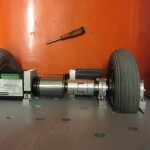 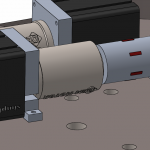 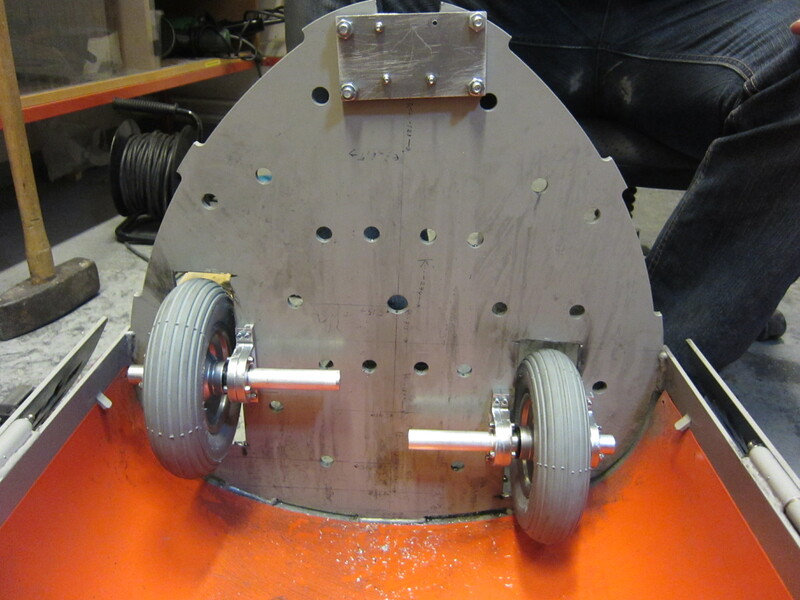 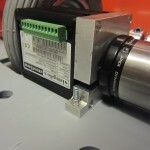 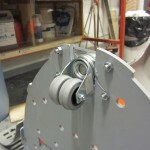 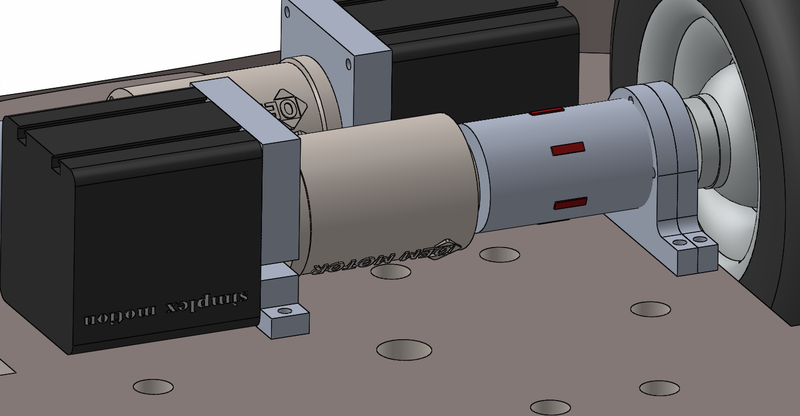 Unfortunately we don’t have time to buy an implement a belt-driven wheels, so we have to connect the shaft to the wheel with a shaft-coupling. 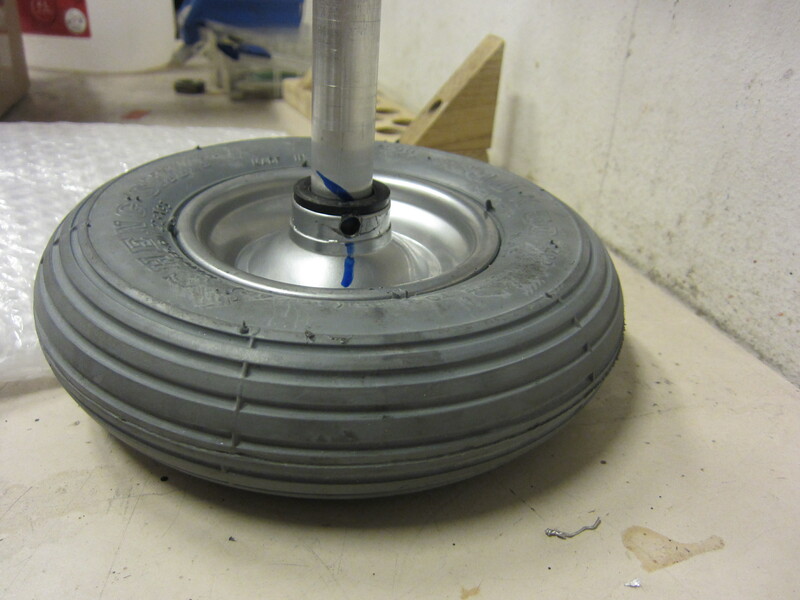 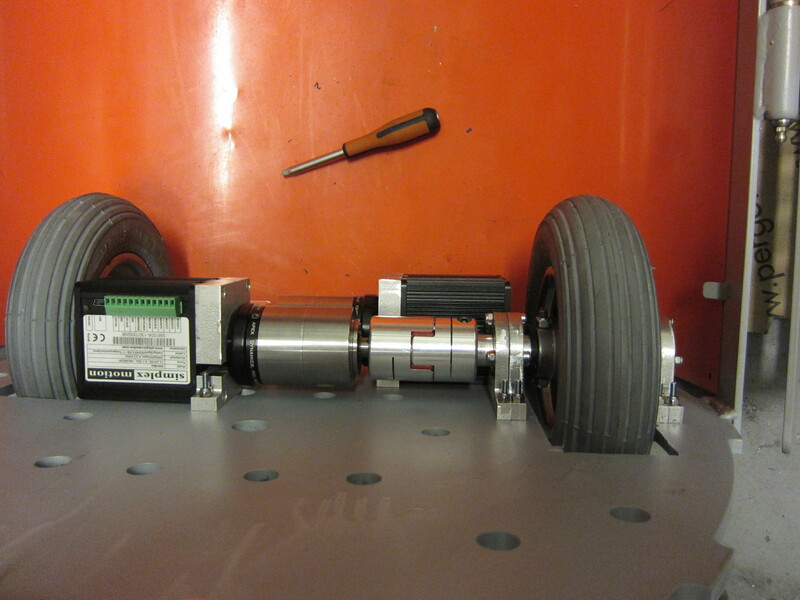 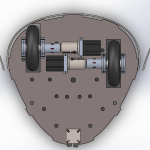 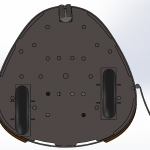 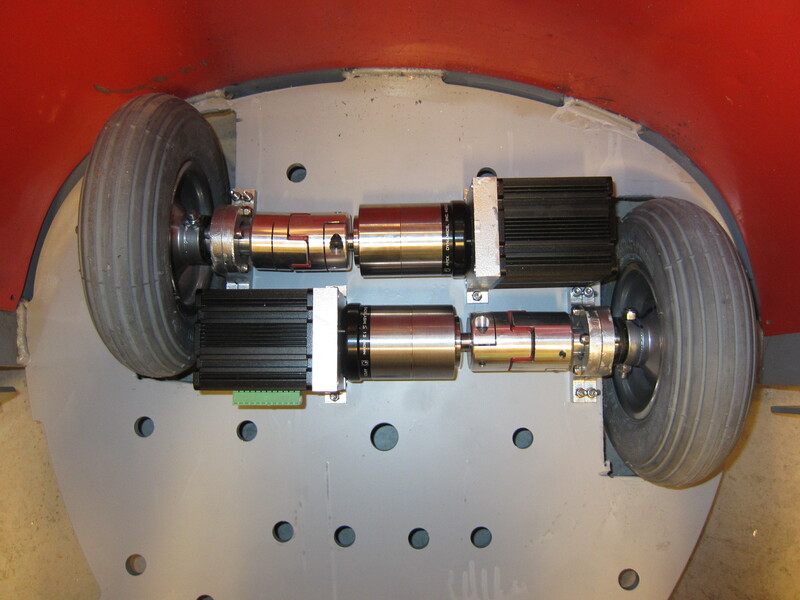 This makes the driveline quite long, so long that we can’t make the wheel-pairs symmetrical. 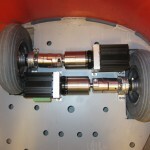 The shafts are offset by 65mm. 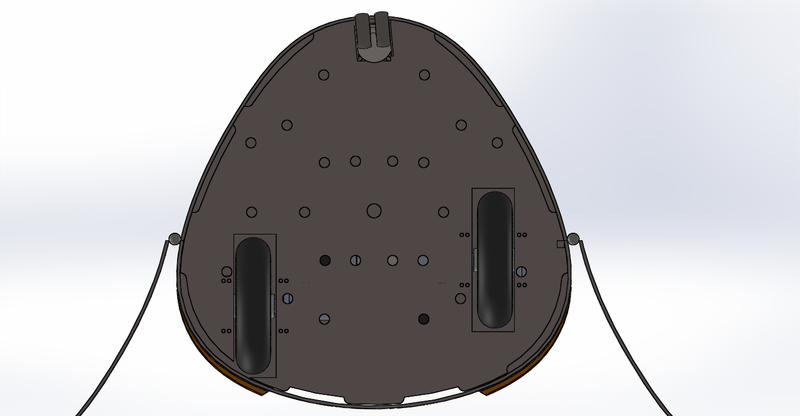 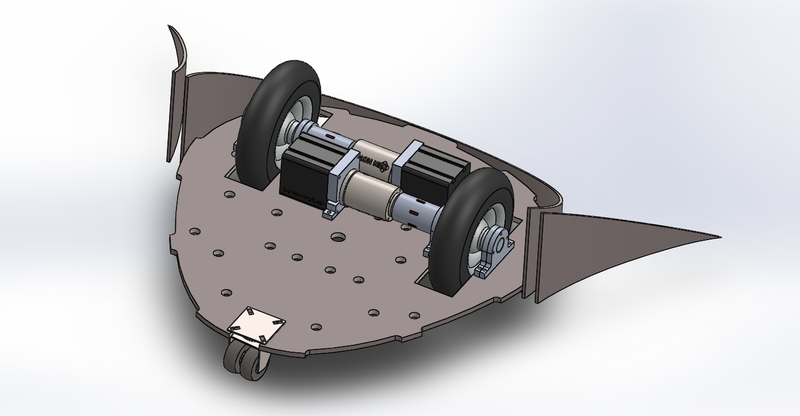 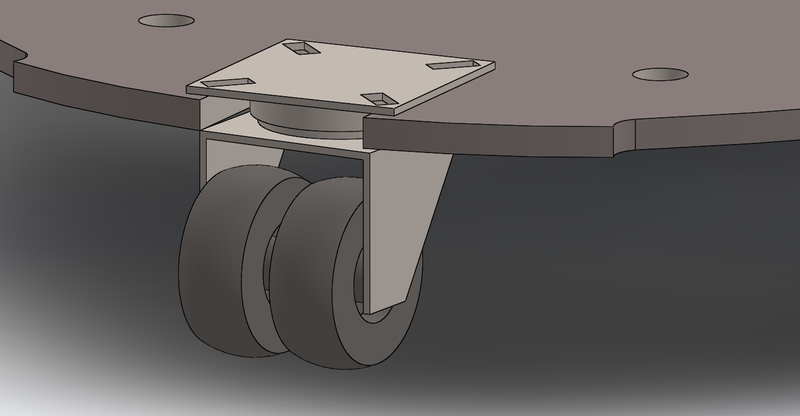 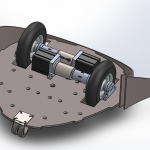 It’s not a optimal placement for the wheels but okey, we can always compensate for it in the software.